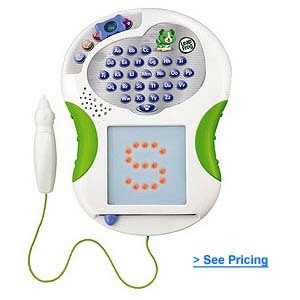 The LeapFrog Scribble and Write is a great learning toy for kids 3 years old and up who are learning to write their ABC’s and 123’s. Great for Pre-school kids, this toy is durable and great to keep in the car or for learning at home. My Pre-school age kids have logged many hours with this toy.